Home / Stock Picks / Hot Stocks / Are Marijuana Stocks Generally Overvalued? The past several months have been incredible ones for marijuana stocks. Although many of them have been around for years, nationwide legalization in Canada and legalization progress in the United States has thrust a large handful of cannabis stocks like Canopy Growth (NYSE:CGC), Aurora Cannabis (NYSE:ACB) and Tilray (NASDAQ:TLRY) in the spotlight. It has also pushed most of these stocks much higher. The sheer speed and scope prompts a huge question most investors have avoided asking, however — are marijuana stock overvalued? There’s more to the answer than just the acknowledgment though. Namely, being overvalued isn’t the same thing as calling these companies a sham. It also doesn’t preclude gains in the meantime that will make them even more overvalued, even beyond typical measures of value like price-to-earnings ratios or cash flow potential. It’s not unfair to “value” this industry’s players solely based on the premise for the time being. Nevertheless, at some point in time these organizations will have to justify their stunningly frothy prices. Once the market realizes they can’t, that’s when the wave of right-pricing begins. It’s undeniable that the pro-cannabis movement is gaining traction. Canada is completely on board, even if its retail choices are modest. Meanwhile, marijuana is now legal for one reason or another in ten U.S. states. The light at the end of the tunnel has set most marijuana stocks on fire, and for good reason. Not only does legalization represent more opportunity, it has made them potential acquisition targets. That doesn’t mean investors have remained rational about the whole premise though. Again, that’s from Bruce Linton, chief of Canopy Growth, and someone who has much to gain by not suggesting anything close to what he said. 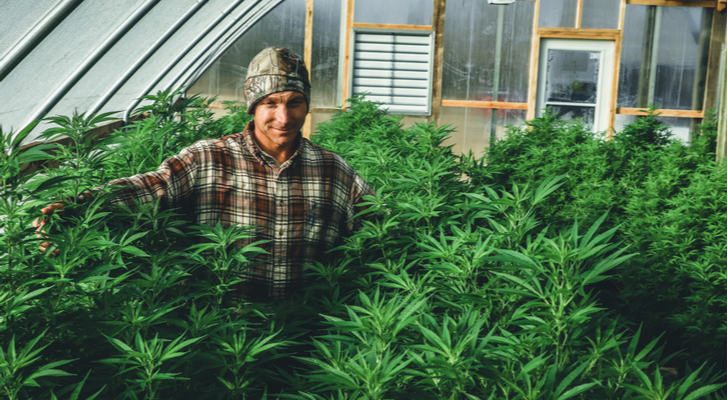 In other words, a good-sized swath of would-be tokers — and suppliers — are still circumventing the legalized arm of the industry. Investors were pricing marijuana stocks as if the illegal side of the trade would shift to legal operations. One can’t invest in the unregulated, illegal swath of the marijuana business that clearly still exists, and still competes with publicly traded outfits in the cannabis industry. Little has changed, valuation-wise, since then. Even beyond the expert opinions though, the ancillary evidence of froth among these stocks is in place. No two bubbles are quite the same, but they all eventually sport the same core warning signs that are in place now. One of those warning signs in place now is, everyone and their uncle is talking about investing in marijuana … including people who’ve never actually invested a penny in their lives. And they’re not just talking about it. They’re adamant about it, to the point of being critical of those who are “missing out” on the movement. It’s mostly an effort to assure themselves they made the right call. Another red flag? The industry’s focus has shifted from doing the business to supporting those who want to get in the business to raising awareness — and raising funds — by merely name-dropping or leveraging celebrities’ star power. Most notable among such moves is the naming of Gene Simmons, the face and lead singer of rock band Kiss, as the Chief Evangelist Officer of Invictus MD Strategies (OTCMKTS:IVITF). The company’s Canadian ticker was even changed to ‘GENE’ to bolster the affiliation. It’s a title fabricated solely for publicity purposes, with a role filled by a talented showman with no particularly related work experience. Lastly, the mindset keeping these names propped up, for the time being, is the same one that sent solar stocks soaring in 2008, oil stocks into a rocket-ride into 2014, gold in a frenzy in 2010 and 2011, bitcoin into a mania in 2017 and 3D printing stocks into high gear in 2012 and 2013. Those were all “must have” investments at the time, as they would change the world as we knew it. They didn’t. The underlying stories sure were fun to think about though. The great irony (and frustration) is, cannabis is a real, viable industry. Some observers believe the global legal marijuana market could be worth nearly $150 billion by 2025. Even half of that figure would still be an incredible opportunity. It’s short-sighted, however, to believe the market’s most-talked-about marijuana stocks are going to hold onto their present prices between now and then. Much can happen within the next five years that sheds the light of reality on these hyped-up names, not the least of which is the plethora of privately held companies that could end up outgrowing outfits like Tilray and Canopy Growth by avoiding all the trappings of being publicly traded entities. It certainly doesn’t mean certain cannabis stocks won’t see more short-term forward progress again, in the near or distant future. A bubble has made marijuana stocks sharply overvalued in terms of risk, potential and how compelling their stories are though … even if few want to admit it. 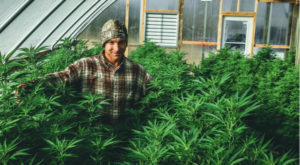 Article printed from InvestorPlace Media, https://investorplace.com/2019/02/are-marijuana-stocks-overvalued-simg/.